Abstract : In this paper we present a novel method to apply photometric stereo on textured dynamic surfaces. We aim at exploiting the high accuracy of photometric stereo and reconstruct local surface orientation from illumination changes. The main difficulty derives from the fact that photometric stereo requires varying illumination while the object remains still, which makes it quite impractical to use for dynamic surfaces. 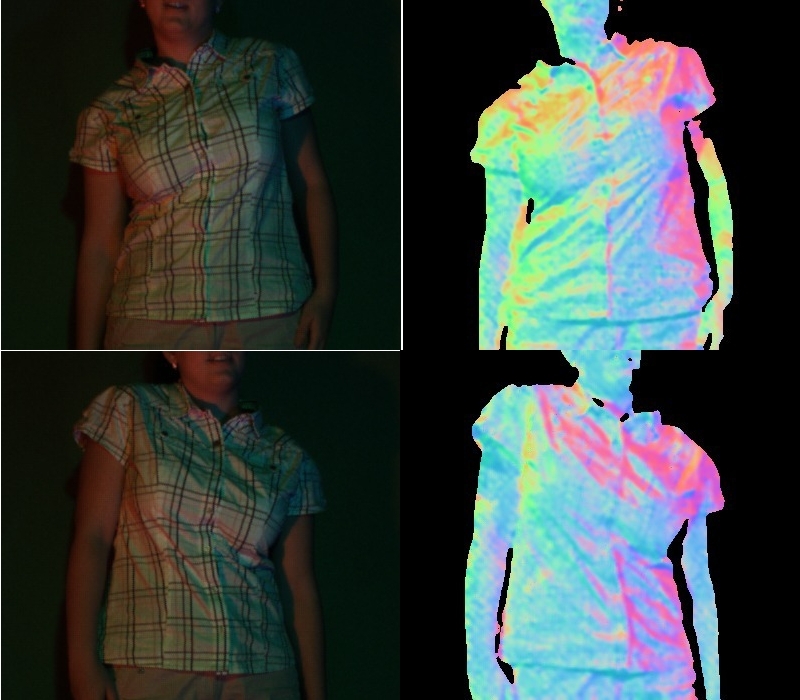 Using coloured lights gives a clear solution to this problem; however, the system of equations is still ill-posed and it is ambiguous whether the change of an observed surface colour is due to the change of the surface gradient or of the surface reflectance. 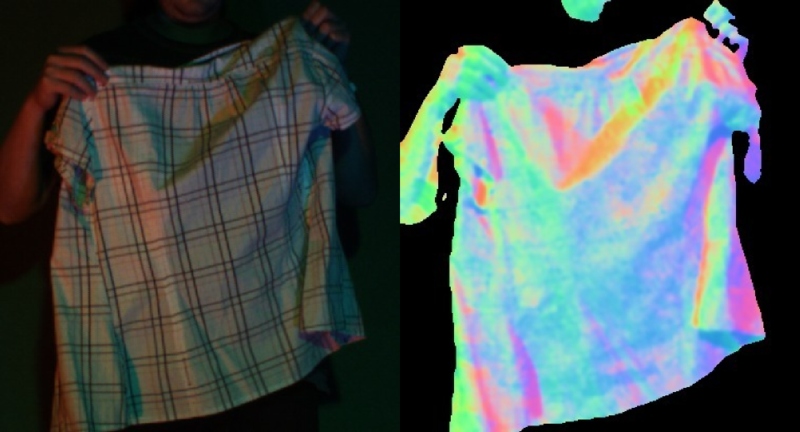 In order to separate surface orientation from reflectance, our method tracks texture changes over time and exploits surface reflectance's temporal constancy. This additional constraint allows us to reformulate the problem as an energy functional minimisation, solved by a standard quasi-Newton method. Our method is tested both on real and synthetic data, quantitatively evaluated and compared to a state-of-the-art method.